HOUSTON – At the Texas Medical Center — the largest medical complex in the world—more than $3 billion in construction projects are under way. According to Transwestern’s 2017 first quarter Houston Healthcare Market report, some 5.1 million SF of hospital and medical office building construction is underway across the Houston metro area. Healthcare is one of the city’s strongest employment sectors. Year-over-year job numbers continue to show the healthcare sector is one of the primary drivers of growth in the city (8,300 jobs created through February 2017). The same scenario is being played out in cities across the U. S. Transwestern recently expanded its Healthcare Advisory Services group by adding Peter Stojkovic as national managing director overseeing project management and construction services for healthcare projects across America. Stojkovic brings more than 25 years of experience, having most recently served at JLL in a capital construction and project management role. Realty News Report recently spoke with Peter about the Houston and U.S. healthcare markets as well as how the Affordable Care Act (ACA, also known as Obamacare) is affecting construction throughout the country. Realty News Report: You’ve been named National Managing Director of Transwestern’s Healthcare Advisory Services group. What will you be doing? Peter Stojkovic: I will first focus on the infrastructure necessary to support project management and construction. In that vein, I will develop teams focused on the different aspects of the construction process, including capital improvements, building renovations and tenant finish-out. Realty News Report: What are some of the transactions you’ve worked on in Houston? 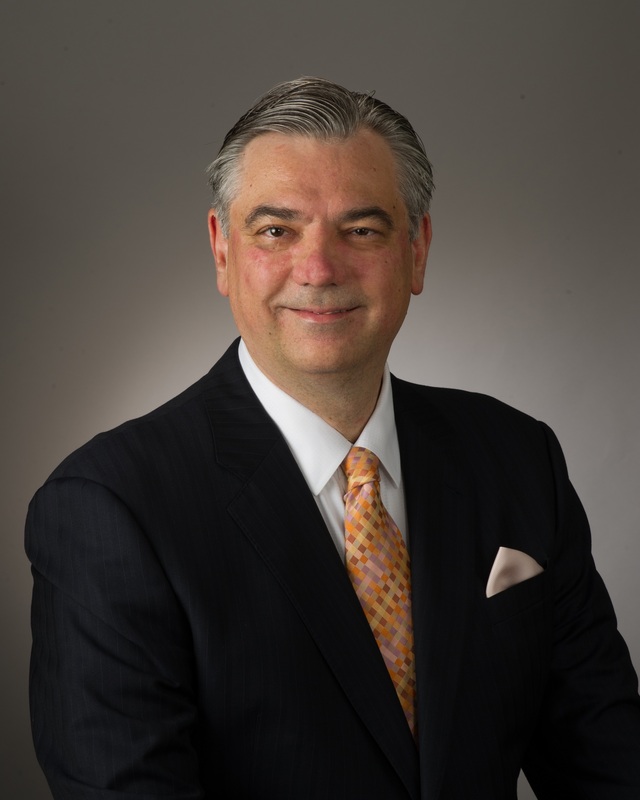 Peter Stojkovic: I have recently executed transactions for University of Texas – MD Anderson Cancer Center, Bellicum Pharmaceuticals, and Life Science Plaza. Realty News Report: What’s happening in Houston healthcare construction? Does it involve building only in the Medical Center or all throughout Houston? Peter Stojkovic: There is a robust construction pipeline. At just over 5.1 million square feet of hospital and medical office building construction underway across the Houston metro, the development pipeline remains highly active. There will likely be a significant reduction as several large projects are set to deliver throughout the balance of the year. Additional construction activity over the year will be focused on smaller facilities with negligible impact on the overall pipeline. However, the first two months of 2017 show losses, occurring primarily in ambulatory and healthcare services. Considering the recent layoffs announced by CHI St. Luke’s and University of Texas – MD Anderson, the short-term prognosis is for slow to no job growth as the market absorbs the recent losses. That said, the underlying fundamentals of the market are positioned well for long-term growth. Realty News Report: Could the healthcare industry become overbuilt like the energy sector has? Peter Stojkovic: Like all industries, the possibility of being overbuilt with certain facilities will always be possible. However, we still expect activity to remain strong as healthcare providers continue to seek locations that align with the population growth and an effective insurance payer mix. The healthcare market is very optimistic in the forthcoming years. Realty News Report: Is healthcare expansion just a Texas phenomenon or is it occurring all over the country? Memphis, for example, is planning billions in new healthcare construction. Are other cities? Peter Stojkovic: The boom in the healthcare industry is not limited to Texas. Other cities experiencing phenomenal growth include Columbus, South Carolina; Las Vegas; Nashville, Tennessee; and Jacksonville and Tampa, Florida. Realty News Report: Transwestern’s Healthcare Advisory unit now operates in 19 cities. What has spurred this growth? Peter Stojkovic: Each city has demonstrated a vigorous combination of consistently strong demand, home price appreciation, and local economic and demographic growth. Because of these factors, the basic need for healthcare and its infrastructure has benefited. Realty News Report: Is uncertainty about the Affordable Healthcare Act affecting development and investment? Can you provide an example or two? Peter Stojkovic: The Affordable Care Act requires healthcare providers to improve care while reducing expenses and costs. Because of the uncertainly of the healthcare industry, hospital systems are taking a “wait and see” approach to avoid making unnecessary capital outlays. In some cases, hospital system mergers and acquisitions are forming larger entities or simply closing their doors due to the uncertainly in the healthcare marketplace. As a result, more hospital systems are looking for competent real estate advisors to present short- and long-term options and associated risk factors. There has been a sharp increase in healthcare development as a result of the Affordable Care Act. Healthcare providers are facing reduced reimbursements from funding sources; they can no longer afford to provide care in inpatient surroundings. As a counter measurement, they are developing more off-site care amenities such as urgent care centers, to deliver more cost-effective care to patients. Obtaining funding for these developments has not been an issue. Hospital systems have benefited from the ability to acquire and borrow at historically low rates, as well as aligning themselves with third-party capital sources, including large publicity traded REIT funds. For example, in recent months, we have seen failed retail centers and office buildings located in suburbs being converted to medically focused properties. In part, consumer demands are behind the proliferation of “minute” clinics in locations like CVS pharmacies. Realty News Report: How is the healthcare delivery changing? Smaller hospitals? More work performed at a surgical center or expanded doctor’s office? Peter Stojkovic: Delivering healthcare is changing rapidly. Hospitals are making the necessary changes to survive this new reality. Adaptability, flexibility and standardization are fundamental to doing business in healthcare today and reducing cost. Pressure to reduce cost and the transference of payment models continue to shift, increasingly dependent upon the quality of care, patient experience and use of electronic records. In addition, the customer has more options today to search for services using mobile phones and apps. As a result, the consumer is king. With the explosion of technology and applications, urgent care, primary care and smaller hospitals will expand, driven by consumers that prefer not to leave their home or office for care. Home and self-care will continue to grow while individuals who elect to visit a physical site for care will demand even more from the hospital systems. In general, new facilities and construction projects must to be able to expand and contract to follow market demands. Hospitals are forced to embrace design features and adopt standardization through the use of modular designs to create identical spaces along the entire hospital system. Standardization of floor plans allows the hospital to become flexible by using the modular approach. For example, the hospital can change the furniture or equipment as the need changes. This allows the hospital to continuously improve the delivery of care and decrease interruptions. Realty News Report: Going back to Transwestern operations, it was mentioned that Transwestern utilizes a ‘vertical approach’ to the healthcare industry. How is that different from others? Peter Stojkovic: Transwestern’s professionals serve the real estate needs of both healthcare providers that utilize real estate to care for patients and the property owners that supply the necessary buildings. We have the capability to provide services for all healthcare property types at every stage of the asset lifecycle, including funding, investment sales, brokerage, development, construction management, property and facilities management, compliance, maintenance and engineering. The Transwestern business model pairs nationally integrated operations with top-notch local expertise.